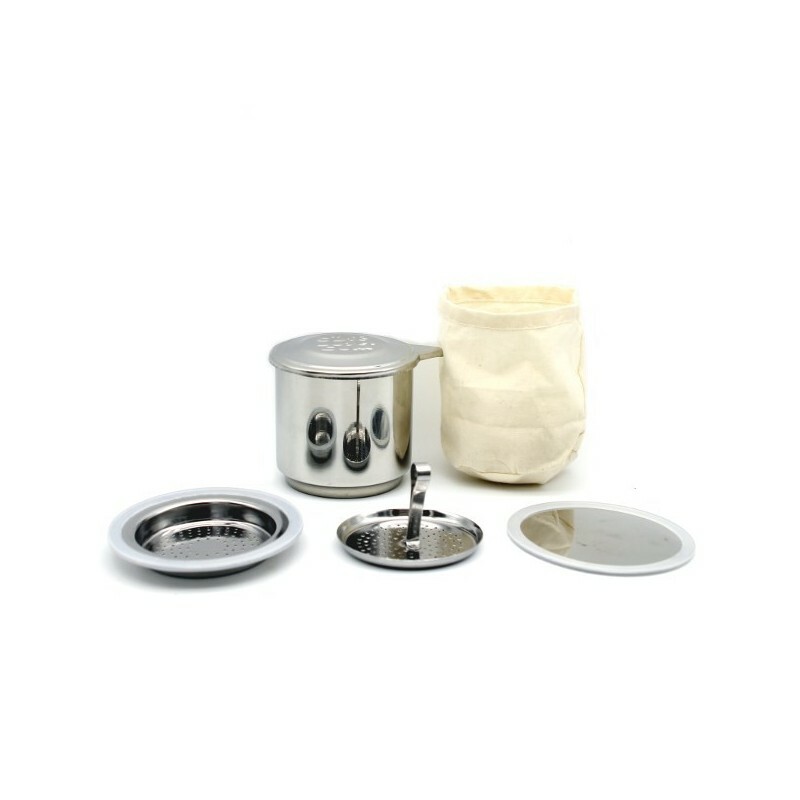 A stainless steel coffee making kit for home, office or travel. 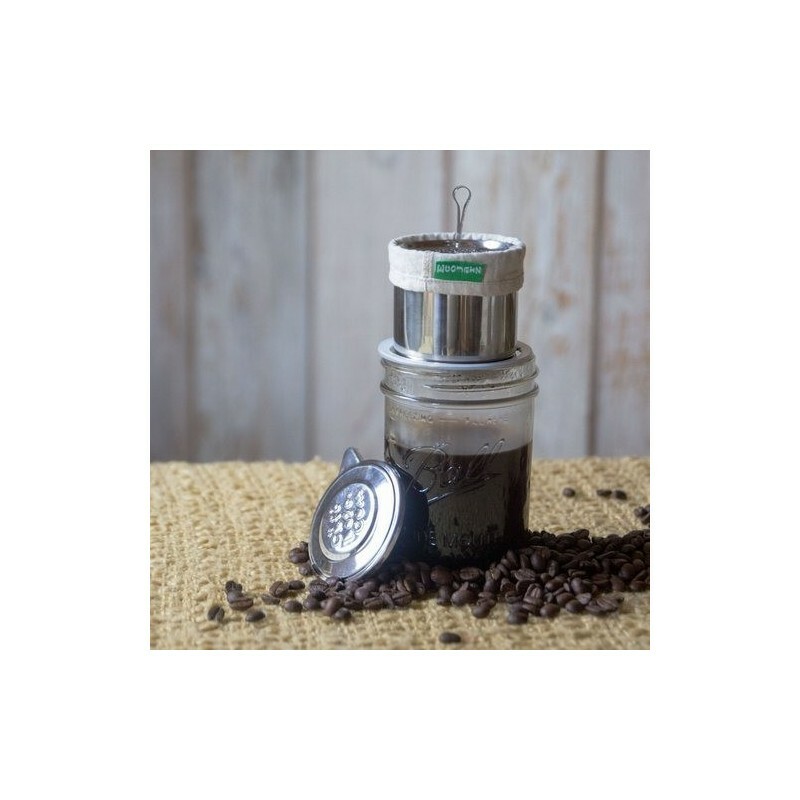 Small enough to fit inside a wide-mouth jar for easy storage and hardwearing so it's sure to last a lifetime, this pour-over filter system will sit atop any wide- or regular-mouth Mason jar, as well as a traditional mug. 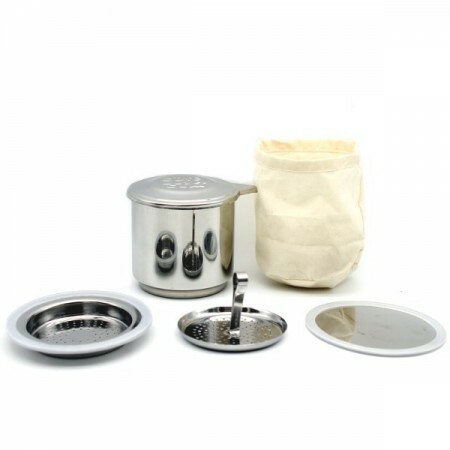 Made with high quality stainless steel and comes with a reusable cotton filter. Use for a variety of purposes, interchangable with other jars/mugs. Stainless steel constuction will last a lifetime. Suitable for tea or coffee brewing. No BPA, phthalates or chemical leaching.